Sometimes they dig and dig into their book bags only to pull out a chewed up nub little stump of a pencil with a missing eraser and a dull point. The point is dull because they also cannot find all the pencil sharpeners that the parents purchased along with the start of the school year supplies. Which brings me to my gift giving every Christmas. 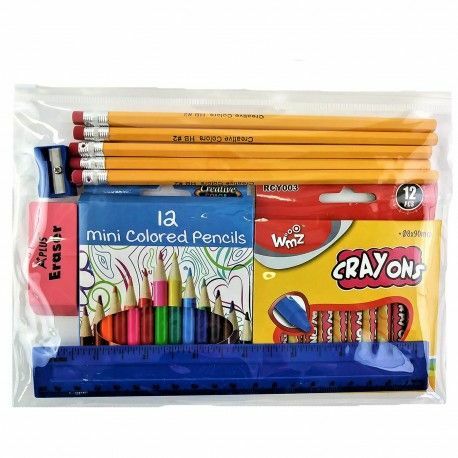 I make up mid-year school supply packs for the children in my circle. No toys from Queen Teen. This year I made these cute pencil and eraser with skinny note pad stocking stuffers. These are being sold at local craft fairs where I am vending. Check us out on FB .We also accept orders on most items from anywhere in the continental US. …and it can be in your home too. Make a scrumptious smelling fragrance for you home. Place all ingredients in a crock pot and fill with water. Let the crock pot simmer with the lid off. Refill with water to cover the ingredients as needed. The whole house will smell yummy. I hope you try this. What other variations of crock pot potpourri have you tried?